Tuesday’s Discussion on the Role of EU sanctions was attended by 37 students of both Law and International Relations. The panellists were: Anthonius W. de Vries (a former sanctions coordinator at the European Commission), Professor Michael Smith – (a Politics and IR lecturer here at Aberdeen), and Dr. Paul James Cardwell (from the University of Sheffield). The general feeling that we got from the speeches was that the sanctions [don’t] so much change the behaviour of the target States, but rather serve as a signal of disapproval from the EU and that it is important to be critical of this instrument of foreign policy and apply it only when necessary and with utmost care. The event was organised jointly between Europe Direct Aberdeen and ELSA Aberdeen. If you think you might be interested in future events of this type then have a look at their events pages on Facebook (EDIC & ELSA). In the recent years the European Union has been gaining strength as a global actor: it has been a participant of the peace processes in Middle East, Ukraine, and Philippines. One of the mechanisms the EU uses to influence the behaviour of various foreign actors is the sanctions regime. The event is aimed at shedding light on the mechanism of the EU sanctions, its difference from other sanctions regimes, and its goals and effectiveness. To achieve that we will discuss the EU sanctions following the crisis in Ukraine; EU’s involvement in Iran sanctions lifting process; and the EU sanctions regimes in Uzbekistan and Myanmar. We will analyse the causes and the objectives of adopting the sanctions; whether those causes and objectives shift over time; and whether we can assess the effectiveness of these restrictive measures. To book your place you can email europedirect@aberdeencity.gov.uk or go to the Eventbrite booking page. For more details see the poster above and the EDIC Aberdeen Facebook page. …and Europe Direct Aberdeen are holding ‘A Very European Christmas’ event in the Central Library on Wednesday 2nd December. There’ll be festive treats, games, tree decorating and a chance to learn about Christmas traditions from across Europe. Find out more on the Facebook event page. © Copyright Charles Clegg and licensed for reuse under this Creative Commons Licence. There’s so much information out there concerning the EU that it can be tricky to know where to start when you’re looking for something. Here’s three easy to use resources that we find particularly useful. So whether your looking for travel advice, information on policies, the latest developments in the Brexit debate or something else entirely, one of these sources should be able to provide the answers or point you in the right direction. Europe Direct Aberdeen. Based in the Aberdeen Central Library, they have a great Facebook page if you want to keep up to date with their activities and the service they provide. They post regularly about EU policy, programmes and funding opportunities, as well as information on local and international events. They are also a great source of practical information for anyone travelling in Europe. 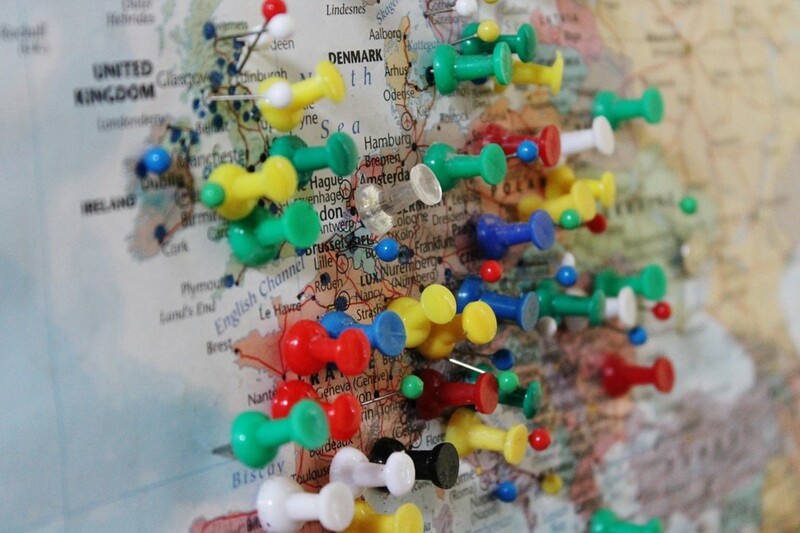 There are around 16 Europe Direct Centres in cities around the UK. If you don’t happen to be in Aberdeen, click here to find the nearest one to you. They also provide many useful information guides on the countries of Europe, EU policy and the Institutions of the EU. And just so you don’t miss anything, you can set up a personalised weekly email newsletter. Info-Europa is a weekly newsletter that collates the latest information on EU legislation and proposed legislation as well as general news. It is put together by Patrick Overy, who is based at the European Documentation Centre at the University of Exeter. You can see the last four issues on the Europa site or you can sign up to have it delivered to your inbox. As always, all related inquiries are most welcome in the European Documentation Centre in Taylor Library, whether by phone, email or in person. On the 19th August, World Humanitarian Day, Europe Direct Aberdeen are hosting a talk on the problem of human trafficking in the EU. The speaker, Brian Donald, Head of the Office of the Director at Europol (The European Police Office), will speak about how Europol is tackling the issue. Brian Donald is a former Detective Superintendent for Grampian Police. See below for a European Commission video on the issue of human trafficking.